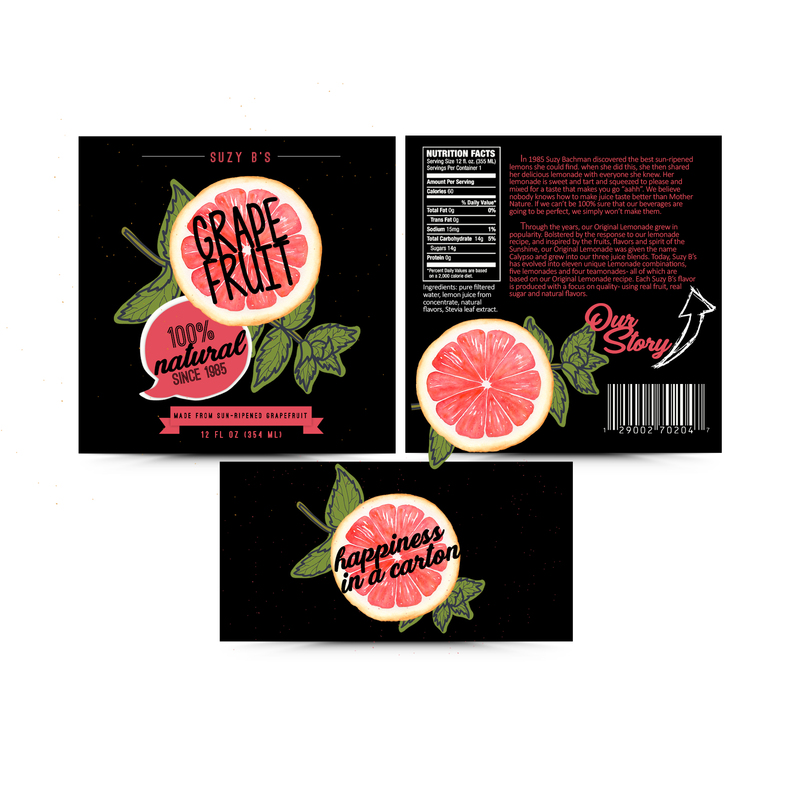 I wanted to create a package design for juice that would stand out to the customer. When you go to the grocery store, you must admit that you tend to buy the juice that is cheapest, not buy the one where the packaging looks cool, because they all look the same! 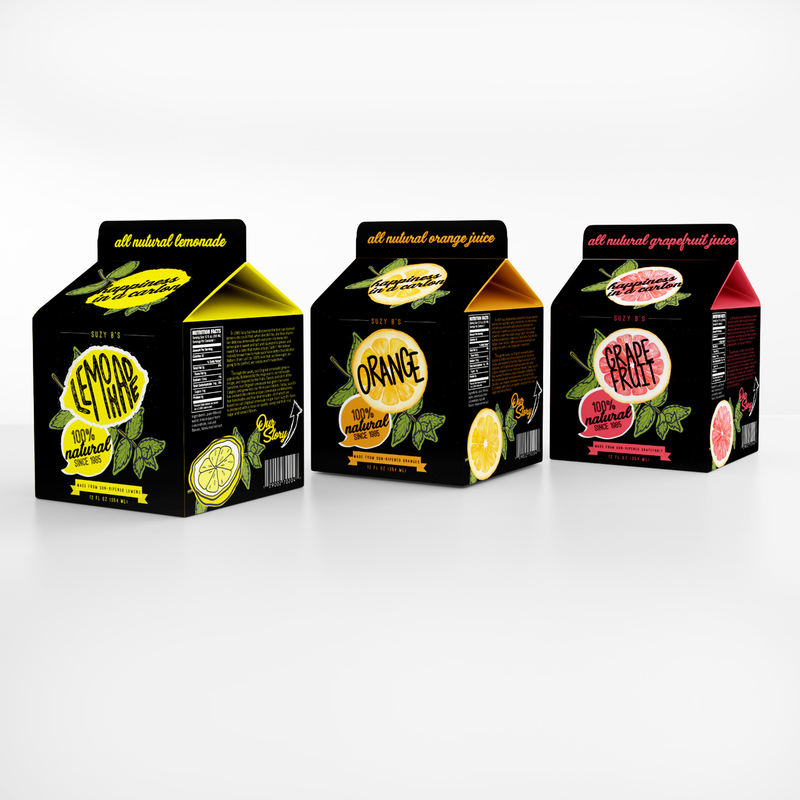 This black background with pops of bright colors that relate to the fruit in the juice, make them stand out from any other juice on the shelf or in the fridge.